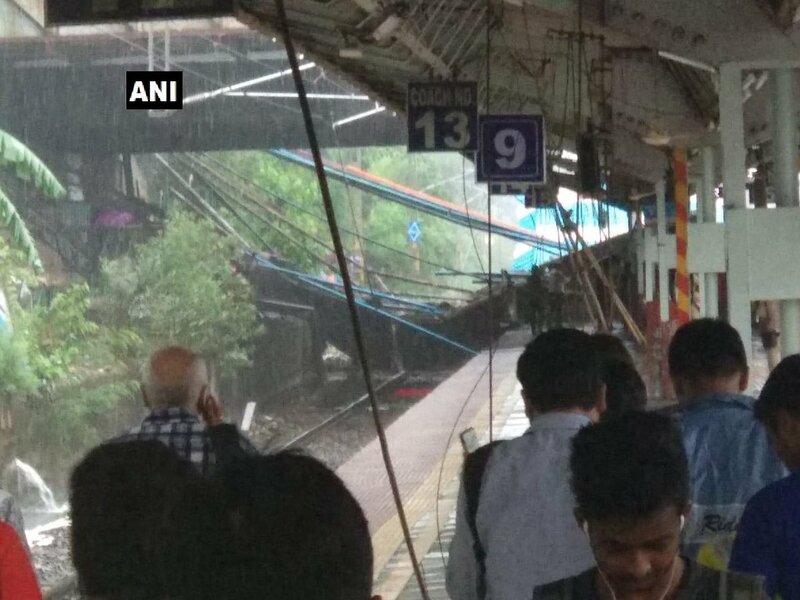 In Mumbai’s continuing woes during monsoon, local train services on the Western railway line were suspended Tuesday, as a bridge caved in at Andheri station, due to incessant rains in the morning. 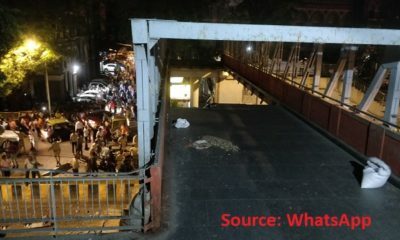 Gokhale Bridge that connects Andheri West and East sections collapsed at around 7:30 am taking down with it the overhead wires which were left hanging on the tracks. The municipal corporation or the BMC, RPF and Fire Brigade officials soon rushed to the spot to handle rescue operations. Train services were suspended on the line towards the Churchgate station. 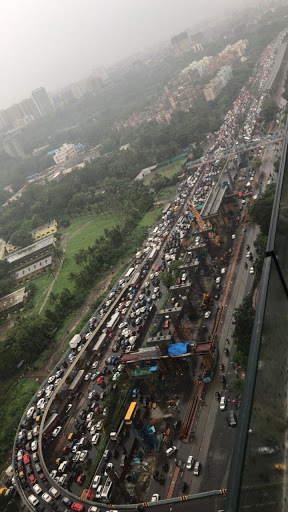 While services were resumed between Churchgate to Bandra and Goregaon and Virar, commuters were left stranded as peak South bound traffic were stalled due to shutdown of services between Goregaon to Bandra. Earlier, it was reported that five people were injured with two said to be in a critical situation and that no casualties have been reported. ANI later tweeted that the NDRF team is present on the Andheri West station and has rescued two people from under the debris. A total of 6 injuries have been reported and rescue operations are going on. All the injured have been admitted in the Cooper Hospital and a special team of Railway doctors is taking care of them. Restoration work is being carried out at the moment to clear out the tracks at the Andheri station. The Western Railway tweeted, giving out the details on its deadline to resume operations. The lack of train services meant that office goers took to the roads to reach their destination, putting further pressure on the transportation system and traffic snarls across Western express highway. Chief Minister Devendra Fadnavis tweeted that he has asked the BMC to increase frequency of buses. Around 39 extra buses have been arranged on the western line route from Bandra to Andheri. Union Railway Minister Piyush Goyal, who also hails from the city has ordered an inquiry into the bridge collapse and said that they are hoping to resume operations by 2 pm. Food packets & water bottles were also arranged for stranded long-distance passengers. For constant updates, @drmbct the Official Twitter handle of the Divisional Railway Manager – Mumbai (Division Of Western Railway) has been tweeting all the updates regarding the schedules of the trains, buses available for the commuters, the situation at the spot, etc.